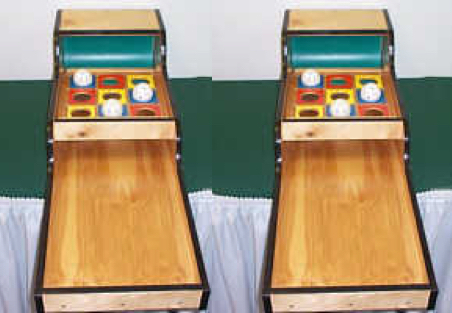 Player receives three balls and rolls them down the game unit so that they loop up onto the top board. If player gets all three balls in the same color, player wins 1st prize. If player gets two of three balls in the same color, player wins 2nd prize.